I love this time of year and all the delicious sweets that we usually save for the holidays. 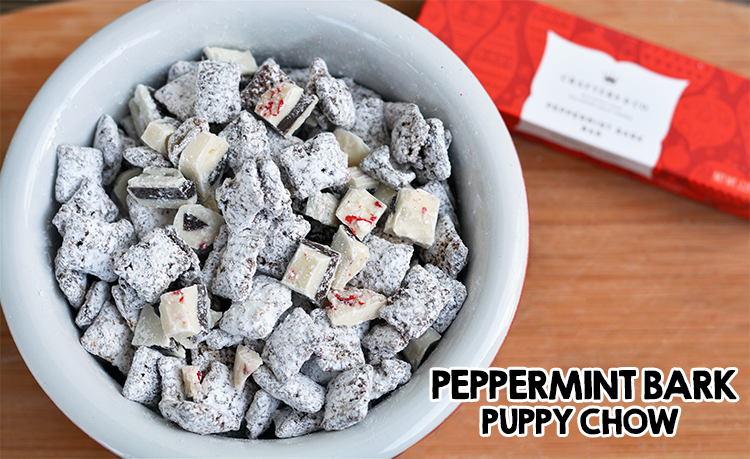 One easy holiday treat that I love to whip up for gifts is puppy chow. 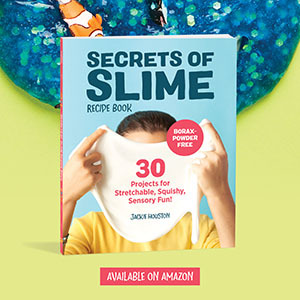 It’s simple to make, takes minutes, and it tastes amazing! There are so many different versions of puppy chow, so you can adapt the recipe for different flavors for different holidays. 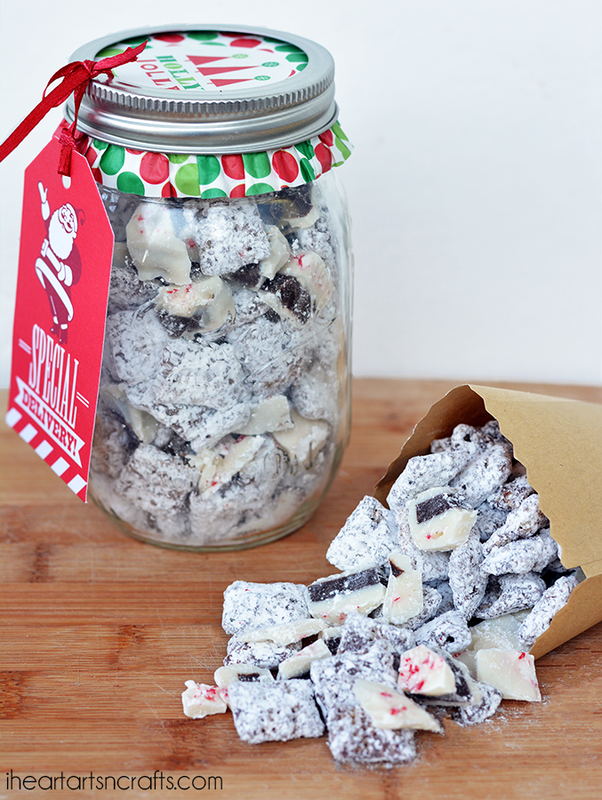 One of the ways we like to make them during Christmas is by adding peppermint bark and crushed peppermint making it Peppermint Bark Puppy Chow. 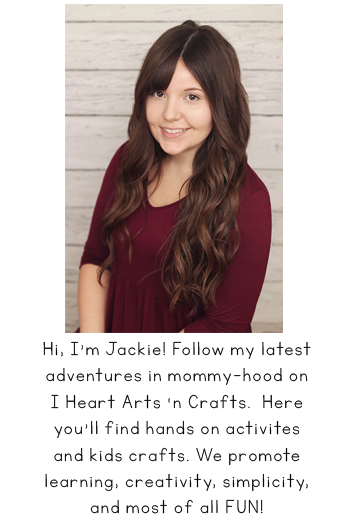 We partnered with Hallmark this month to bring you some inspiration for the holidays. 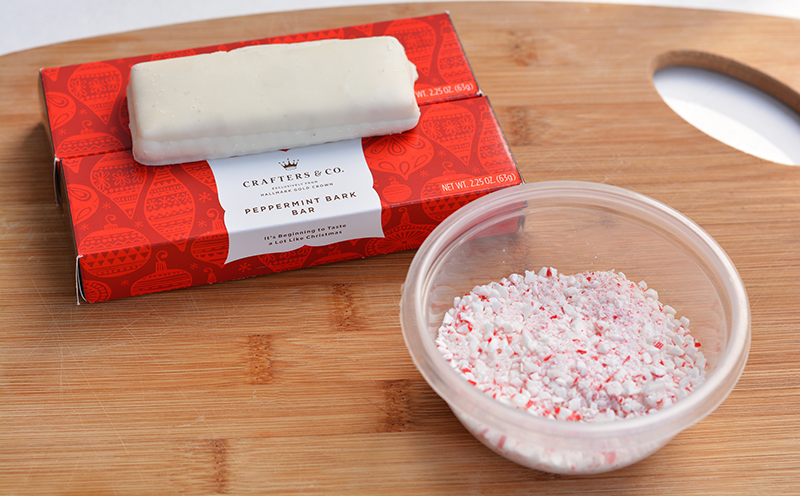 We’ve already shared our DIY Christmas Card Holder, some Creative Ways To Gift Wrap, and today we’re sharing our Peppermint Bark Puppy Chow recipe that features Crafters & Co. Candy, sold exclusively at Hallmark. Because this recipe is inexpensive and makes quite a bit, we like to package ours in mason jars for an easy homemade gift idea. If you’re looking for a quick way to dress up your plain old mason jar for your gift simply add some holiday cupcake liners underneath your mason jar lid and tie on your hallmark gift tag!